Are you looking for a professional translation service provider for the translation of complex technical documentation into all world languages? 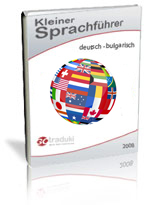 Do you need a brochure translated into all Eastern European languages, or a document from German into Latin American Spanish? No problem for gotraduki! Our competent team provides timely translations in a wide range of subjects. Whether you need to translate your Web site into several languages or a job application for the much coveted job in the Persian Gulf, gotraduki is here to advise you at any time. Your documentation is a product of your competence. You probably did not spare any financial, time and technical effort to communicate your concepts and know-how. Talk with gotraduki and reap the benefits from your investments and applied know-how! We provide tailored translations for all requirements. Our experienced and highly-qualified native speakers (translators and editors) offer comprehensive expertise and a perfect mastery of stylistic linguistic nuances.